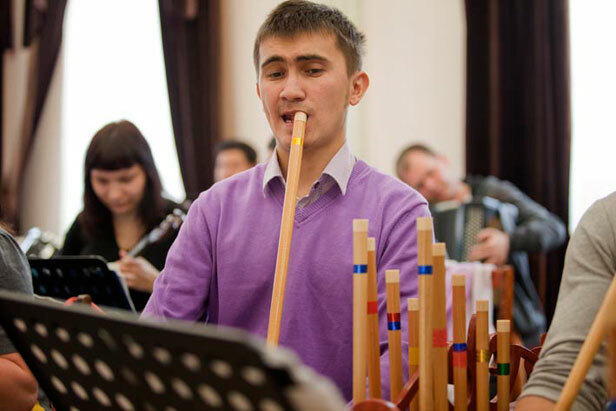 Today we introduce the national orchestra of traditional instruments of Bashkiria. There are 42 musicians in the orchestra, all of them graduated from the Musical Academy of Ufa, the capital of Bashkortostan. It is a unique collective that preserves the authentic sound of folk instruments of this region such as kuray, dombra, kyl kubiz. The kuray is a wind instrument made of wood, created from a reed. It has a unique sound and is one of the symbols of this republic in central Russia.